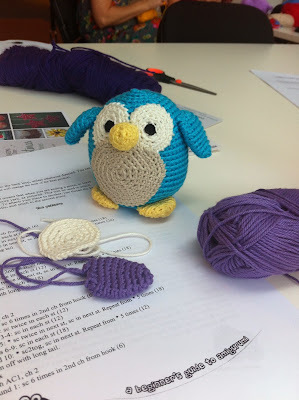 Last weekend I ran a little amigurumi meet up for Brisbane Brown Owls. It was great fun and a lot easier than I thought it would be. If you'd like to have a go at it yourself I highly recommend Fresh Stitches Beginner's Guide to Amigurumi, it's a free pdf download and can be found here. Once you've got your skills down there's also some great patterns on Craftsy and I'm sure Ravelry have some good ones too. If you're in Brisbane early next year there will be some more fab amigurumi for beginners workshops happening, details will be announced soon and you can sign up to my email newsletter here to be the first to find out!